Brussels sprouts belong to the Brassicaceae family commonly known as the crucifers, the mustards, or the cabbage family. They are low in calories, rich in antioxidants have protein, fiber, vitamin K, vitamin A, vitamin C, folate, omega-3 fatty acids, and manganese. These little bundles of deliciousness have been studied and have found that they may even protect against certain types of cancers. They’re a nutritious addition to your weekly diet. 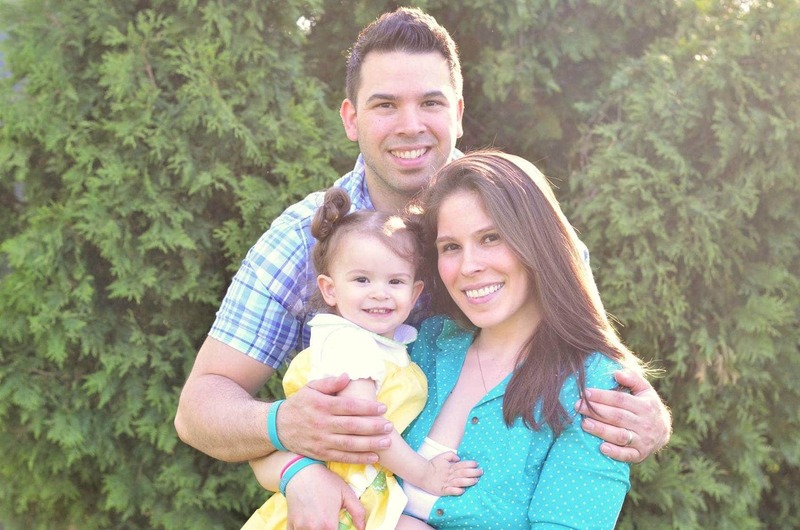 Do your kids hate green veggies? 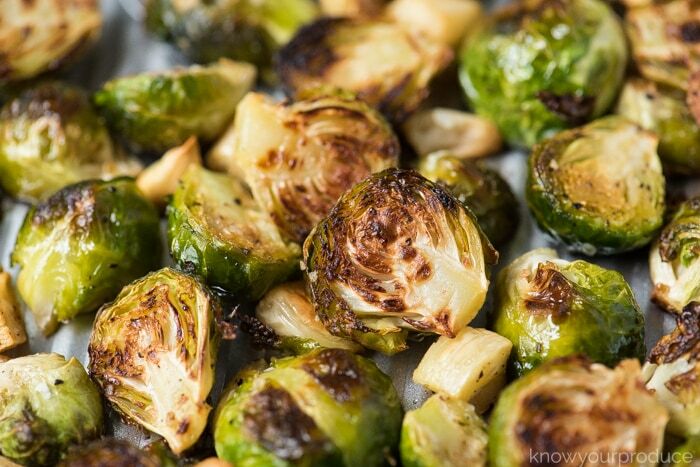 Everyone will love loves this roasted Brussels spourts with garlic recipe! 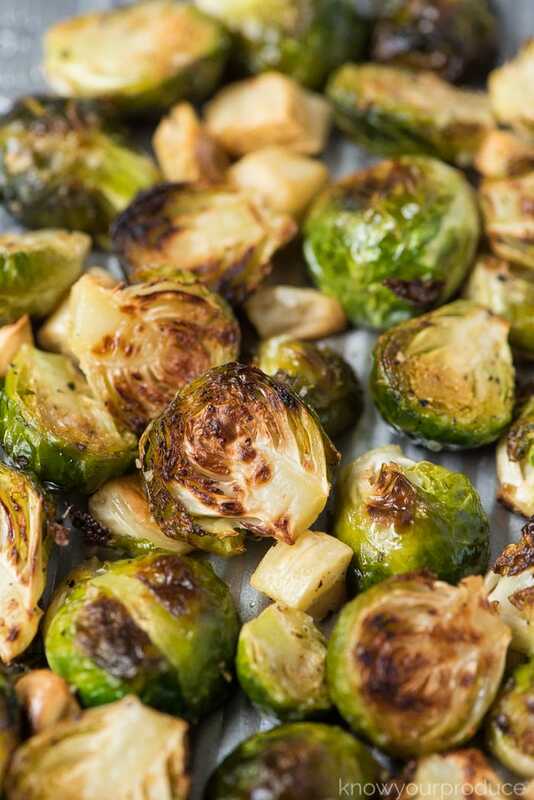 The sprouts get a little crispy and the garlic will get caramelized as well! Warning, it will be hard to stop yourself from munching on them when they come out of the oven. ROASTING! You could also steam them if you’re avoiding oils. We find that these two methods result in a delicious Brussels spout every single time. Just be sure to season with your favorite spices. Keep it simple with garlic, salt, and pepper. 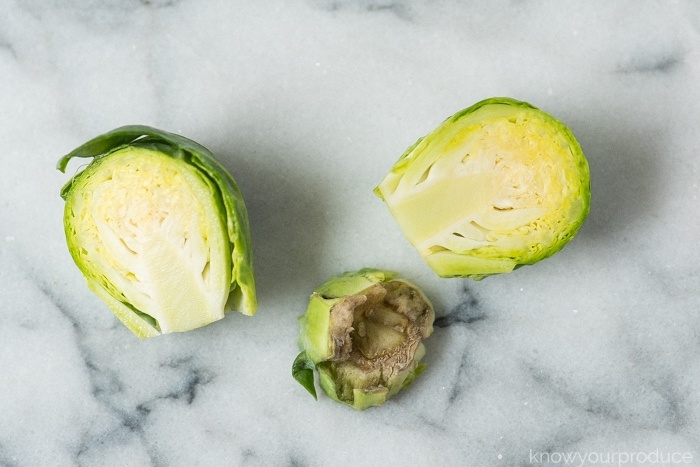 Cutting brussel sprouts is super easy. If you buy them from the stalk you can just cut them right off and then slice in half. If you buy them lose and already off the stalk you’ll want to trim off the bottoms and then slice in half. This delicious little veggie is named after the Belgian city of Brussels and have an S at the end of the word. Brussels is also capitalized. 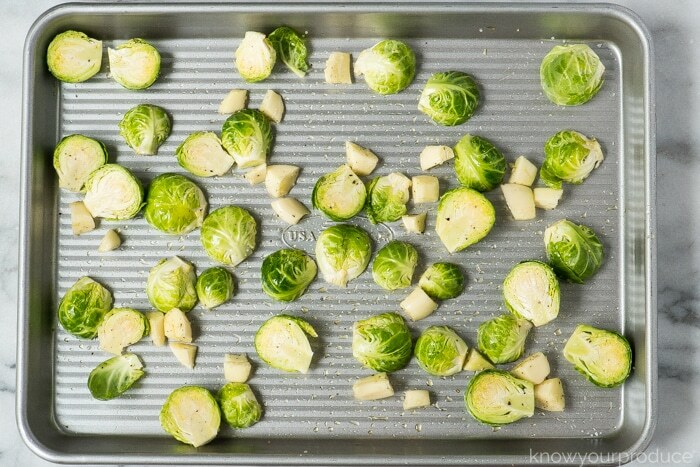 How do you get the bitterness out of Brussels sprouts? We have found that when you cut them in half they’re rarely bitter. When we have purchased frozen ones they tend to taste bitter to us, so we always recommend purchasing fresh whenever possible. You can make them less bitter by adding honey or maple syrup. Start off by washing your Brussels sprouts. Once they washed dry them off and you can slice them in half and cut off the bottoms. Save the scraps for compost or stocks. Now you can remove any outer leaves that are loose. Place them right onto the baking sheet. Then take a few cloves of garlic and cut them into large pieces. Toss the sprouts and garlic with avocado oil, salt, and pepper. Bake at a high heat to really crisp up the roasted vegetables, cook for 15 minutes and then give a shake to turn the sprouts. Flip so the cut side and the outside both brown nicely. Cook for another 15 to 20 minutes, cook time will depend on how large your Brussels sprouts are. Once they are done you’re ready to eat and enjoy! 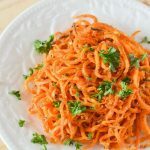 It’s such a quick and easy side dish recipe. You can also drizzle with a little balsamic vinegar or honey if you’d like. Roasted frozen Brussels sprouts will still taste delicious, but will not crisp up as much as fresh. This is due to the amount of moisture from freezing. 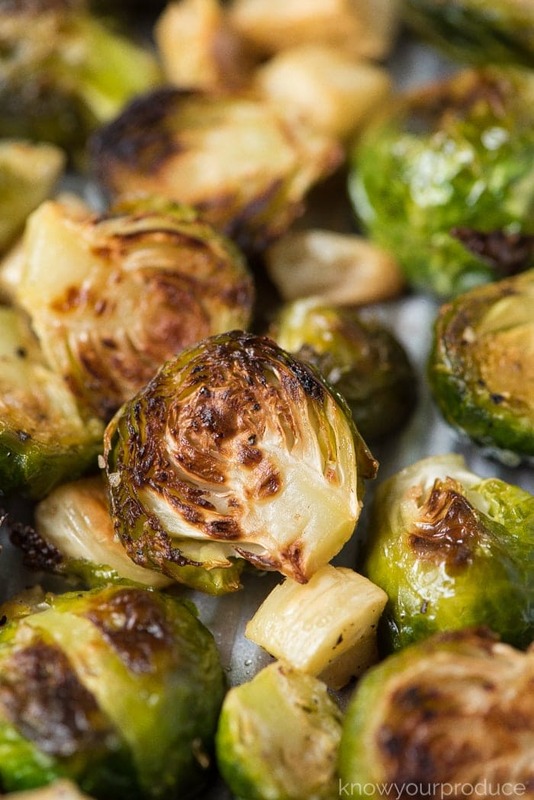 We want our Brussels sprouts to get crispy, so don’t use any parchment or aluminum foil. Instead, we recommend using a good quality baking sheet that has a silicone nonstick for easy cleanup. Double this recipe for meal prepping. Always make sure the vegetables have room to roast. 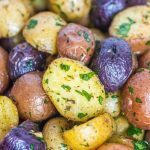 Don’t overcrowd them as it will steam them instead of roasting. If you want to add other vegetables use a larger baking sheet. 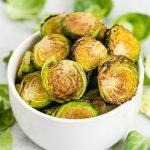 Roasted Brussels Sprouts with Garlic is such a simple sheet pan side dish that cooks up in 30-45 minutes! 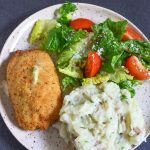 Uses fresh Brussels sprouts, great for meal prep! Toss the Brussels sprouts and garlic with avocado oil, salt, and pepper. Cook for another 15 to 20 minutes (total cook time will depend on how large your Brussels sprouts are). This is the PERFECT side dish for all the holiday dinners. We LOVE them, and in fact just had some this past weekend for Thanksgiving here in Canada. Roasting them is the ONLY way I ever prepare them. This recipe sounds delicious. Wow! So much great info on Brussels sprouts! Side note, it’s always been a pet peeve of mine when I see it as brussel sprouts. Roasting is for sure my favorite way! Roasted Brussels Sprouts are so. friggin’. good. 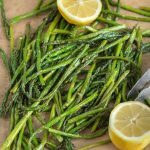 Honestly, one of my favorite veg sides! And when you add all of that garlicky + salty goodness, it’s always a win. I haven’t made them in ages, but now I’ve got a real hankering. I always ask myself “with or without the s” whenever I’m writing it and will have to say it out loud a few times before I get it haha. You’d think after the 2nd time, I’d get my act together but nope! I love roasting my Brussels sprouts with garlic, the more garlic the better! Such a delicious flavour combination! 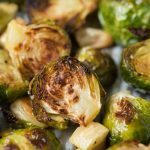 Roasted brussels sprouts are one of my absolute favorite side dishes! I love them with a sweet dressing too to help cut the bitterness. 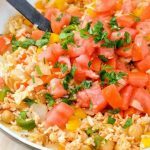 Healthy and delicious- YUM! We love Brussels Sprouts, but the spelling always confused me- thanks for explaining it. This looks like the perfect flavorful recipe to enjoy any day. Yum!! Simple is definitely best when it comes to Brussels sprouts and garlic makes everything better. 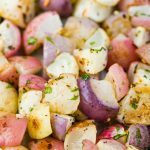 This looks like the perfect side dish recipe and one that needs to be on my table ASAP! This is THE vegetable side that is FALL. It is so good and roasting the veggie deepens the flavor. 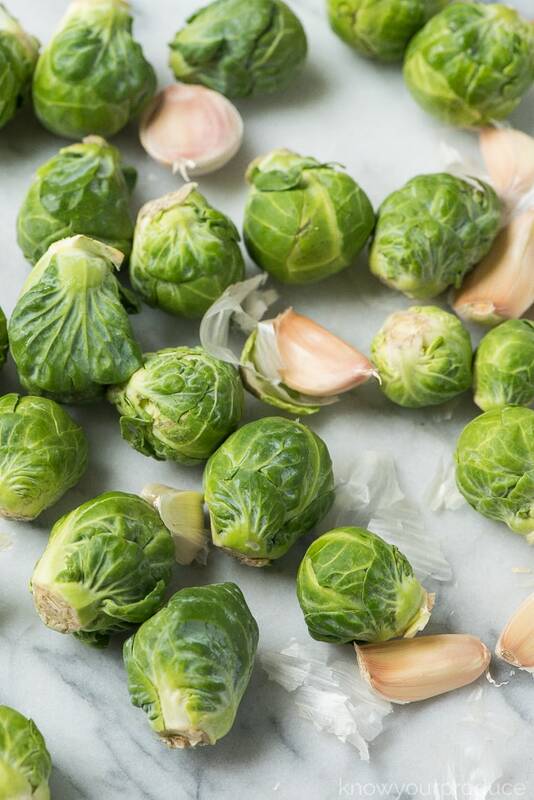 And when you talk about garlic— OMG we have to have it with Brussels sprouts. I’ll be making this for Thanksgiving. I am so weak around roasted brussels sprouts! I can seriously just eat them off of the pan when they come out of the oven…which I try not to do because then I have nothing to serve with dinner. 🙂 The struggle is real! Those crispy, caramelized bits where the sprouts meet the pan are divine. Love that you’ve added garlic to them – garlic always makes something good even better! Totally agree that roasting is the way to go. I love all of your helpful tips….especially about over crowding. I’ve been guilty of that in the past and then they kinda steamed instead of getting crispy. 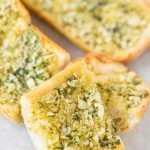 I tried these and the garlic was a fantastic addition. Thanks.